[PDF] Combustion Technology: Essentials of Flames and Burners (Ane/Athena Books) | Free eBooks Download - EBOOKEE! Description: A comprehensive review of the fundamentals aspects of combustion, covering fundamental thermodynamics and chemical kinetics through to practical burners. 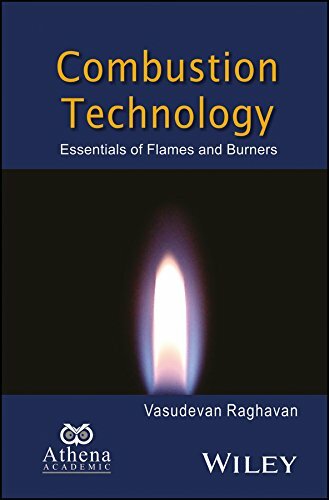 It provides a detailed analysis of the basic ideas and design characteristics of burners for gaseous, liquid and solid fuels. End of chapter review questions help the reader to evaluate their understanding of both the fundamental as well as the application aspects. Furthermore, a chapter on alternative renewable fuels has been included to bring out the need, characteristics and usage of alternative fuels along with fossil fuels. A section on future trends in fuels and burners is also provided. Several key research articles have been cited in the text and listed in the references. No comments for "[PDF] Combustion Technology: Essentials of Flames and Burners (Ane/Athena Books)".